Make yourself at home in one of the 50 air-conditioned rooms featuring iPod docking stations and LED televisions. Complimentary wireless Internet access keeps you connected, and cable programming is available for your entertainment. Bathrooms have bathtubs or showers and complimentary toiletries. Conveniences include complimentary bottled water, and housekeeping is provided daily. The 3-star Blue Moon Hotel is a neighbourhood icon. An eclectic mix of artistic décor and interesting architecture makes a stay at the boutique hotel a unique and cosy experience. After a day wandering the neighbouring Chinatown, Little Italy and Soho, retreat to your oversized room. Unwind in the deep bathtub, or take advantage of the stocked minibar, free wi-fi, and DVD library. With a stay at The Gatsby Hotel in New York (Bowery), you'll be within a 10-minute drive of New York University and 5th Avenue. 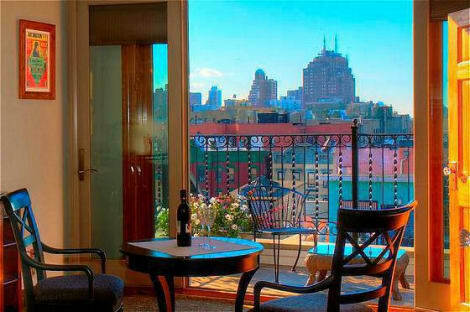 This hotel is 1 mi (1.6 km) from Washington Square Park and 1.8 mi (2.9 km) from National September 11 Memorial. 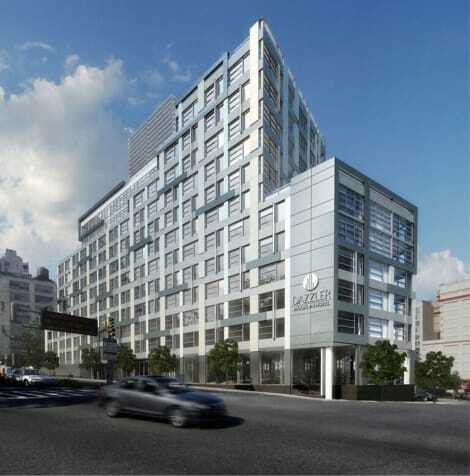 A contemporary 4-star hotel, the Tillary Hotel Brooklyn is close to the Brooklyn Bridge and the Barclays Center. During your stay, you can enjoy a drink in the hotel’s beer garden and unwind with a workout in the on-site fitness centre. 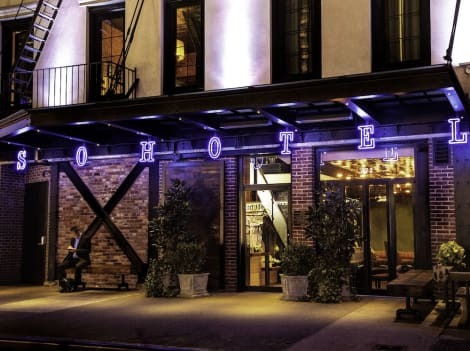 Elegantly designed, the Tillary Hotel Brooklyn’s rooms are furnished with modern comforts like free wi-fi, electronic safes, minibars, soundproofed windows, USB ports, smart TVs, coffee machines, Frette linens and air conditioning.